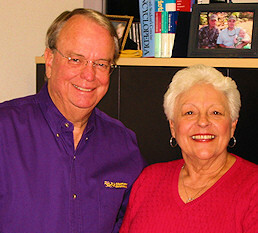 Comfort Solutions, Inc. was founded in April, 1996 by Scott and Patti McKinnon. 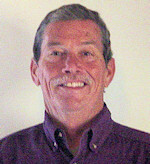 Mr. McKinnon had over thirty years of HVAC industry experience when the company was founded. 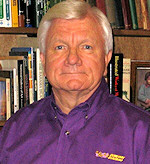 He is a former President of North American Heating, Refrigeration and Air Conditioning Wholesalers Association and a former chairman of the North Carolina Heat Pump Advisory Council. Several industry related articles by Mr. McKinnon have been published in national trade publications and distributed by HVAC contractor trade associations. Initially, Comfort Solutions, Inc. was established to only promote HVAC Zoning, a concept that enables a single heating and cooling system to be controlled by multiple thermostats. As a specialist distributor Comfort Solutions has made a significant contribution in establishing zoning as a recognized means of achieving comfort and energy savings for residential and commercial applications in the Carolina’s. 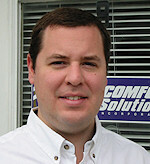 Comfort Solutions, Inc. has become the largest independent distributor for two major HVAC Zoning manufacturers. By early 1997, we realized “Indoor Air Quality (IAQ)” offered advantages beyond temperature control and energy savings provided by zoning. Thus several IAQ products have been added to our product mix over the years providing proper ventilation and filtration as well as dehumidification. By providing a limited product line we excel in gaining product knowledge. This, in turn, enables us to disperse valuable information and assistance to our customers. In 1998, Comfort Solutions purchased a facility on Hinton Avenue in Wilmington, NC to better serve their heating, air conditioning and ventilation (HVAC) contractor customers. The size of the Hinton Avenue distribution center is now four times larger that the original facility. Our company continues to grow based on our philosophy of providing high quality products and the training necessary before and after the sale including hands-on support during and after the installation of our products.